Bright Red Sockeye on the Cedar River. Squad greatly enjoyed seeing the bright red sockeye salmon spawning in the Cedar River in the Cavanaugh Pond Natural Area, which is managed by King County Parks. The ponds are remnants of a former gravel mine which closed due to frequent flooding, now the County is converting adjacent lands into more natural riverine habitat. We planted one hundred native red osier dogwoods / Cornus sericea along the edge of the river bank where they won't mind occasional wet feet and will provide shade and bugs for fish and positively affect stormwater runoff. The Seattle Aquarium's Cedar River Salmon Journey program sent us a group of truly fabulous naturalists to explain everything salmon, complete with props and posters. We learned that salmon carcasses without heads have probably been counted by scentists. Also that the eyes are very nutritious and get eaten first. The Aquarium's website has good information on opportunities for seeing and learning more about salmon. If you'd like to see salmon, come on out Thur 11/9 at Carkeek Park for more stewardship and salmon viewing. We will also be on the Duwamish River just south of Downtown Tu 10/25 where we also hope to see salmon. Springtime on the Cedar River with King County Parks in the Cavanaugh Pond Natural Area was a rich mix of flowers, crawly critters, berries and weeds with a hard downpour thrown in right during our lunchtime talk about salmon. The Seattle Aquarium has a wonderful Salmon Journey program which provides naturalists offering on-site education about the ecology of the Cedar River, particularly in relation to the salmon which reach the ocean through Lake Washington and the Ballard Locks. Save the date on your autumn calendar to hear their presentation- complete with educational props and salmon viewing glasses- at our Squad event on Thursday 10/12. Despite the wet vegetation, we waded into thick weeds to pull them away from young native plants and mulch around them. This will give them a leg up this summer and aid their growth, which will help increase biodiversity along the river as well as contributing to important cooling of the water. Salmon Sightings on the Cedar River with the Seattle Aquarium & KC Parks. Squad braved the pre-storm weather for some salmon and stewardship on the Cedar River and we were greatly rewarded! The beautiful red salmon were easy to see, we saw up to six swimming at once. Many others were perished on the shoreline after their long journey to spawn. The Seattle Aquarium's Cedar River Salmon Journey program sent us a group of truly fabulous naturalists to explain everything salmon, complete with props and posters. The very popular polarized viewing glasses assist in spotting fish in the water by cutting down on glare. We learned that the cut fins washed-up represent deceased fish that have been counted by salmon monitors so that they can keep track of which have been tallied already. The Aquarium's website has good information on opportunities for seeing and learning more about salmon. The Cavanaugh Pond Natural Area, managed by King County Parks, is a unique site in that the river flows through a levee culvert which directs some of the salmon into the pond- a habitat they do not normally spawn in. The ponds are remnants of a former gravel mine which closed due to frequent flooding. Restoration is well underway and will continue into the future. We performed some weeding around the young native plants, particularly digging up tenacious burdock roots. Let's hope the upcoming wind/rain storm has only a limited pollution impact on our salmon waterways due to roadway oil, sewage overflow, etc. If you'd like to see salmon, come on out Thurs 11/10 at Carkeek Park for more stewardship and salmon viewing. We will also be on the Duwamish River just south of Downtown Tu 10/25 where we also hope to see salmon. Stewardship, Swimming and Benthic Signs on the Cedar River. Mayfly larvae, snails with their egg masses and caddisfly larvae on the underside of the river rocks are healthy indicators based on the Benthic Index of Biological Integrity. 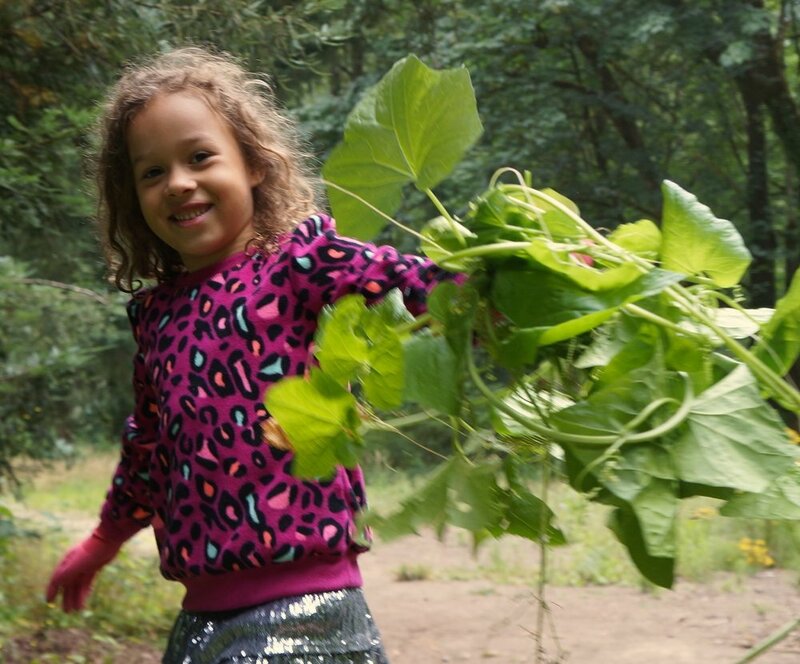 We worked in the Cavanaugh Pond Natural Area with King County Parks on the Cedar River between Renton and Maple Valley. If you live south of the ship canal in the Seattle area, you're drinking water comes from the Cedar River and is impacted by its watershed. The native planting survived the 2015 drought fairly well, thanks in part to our efforts to hand water last year. This year we performed some maintenance weeding near the mobile home park, which is gradually being converted by King County into a wider, more naturally meandering riverine zone. Eventually part of the levee will come out as well. These efforts will create important habitat benefits for salmon and other species, as well as ameliorate flooding downstream by allowing natural-area flooding and river broadening. "Benthic macro-­invertebrates, also known as stream bugs, are animals that can be seen with the naked eye, do not have backbones and live in the stream benthos—in or near the streambed. They include insects, crustaceans, worms, snails, clams, etc. Benthic macro-­invertebrates are monitored because they are good indicators of the biological health of stream systems and play a crucial role in the stream ecosystem." We look forward to keeping an eye on the undersides of rocks as well as continuing our efforts helping this former gravel mine site gradually return to health. Join us Thurs 10/13 when we return for stewardship and salmon viewing. Cedar River Watering. Clean Drinking Water & Salmon. Sockeye salmon at the Ballard locks. It will make its way back to the Cedar River (via Lk WA) to its birthplace, turning red & green, to lay eggs and then die. If you live south of the ship canal in the Seattle area, you're drinking water comes from the Cedar River and is impacted by its watershed. A bit downstream of the spot our drinking water is pulled from, we worked in the Cavanaugh Pond Natural Area with King County Parks, to hand-water a riverside native planting. The kids were thrilled to be assigned water-wading in the mellow river which was running low due to the snow drought. We enjoyed a short naturalist talk about the importance of vegetated, gravel habitat in the salmon's lifecycle. And also the importance of cool water, which is a challenge in low-flow years. The heavy-lifting work, hauling buckets from the river to the young snowberries, cedars, maples, willows and roses helps to establish a healthy forest that will provide many benefits to the riverine ecosystem- shade, insects, water-filtration, erosion control, woody debris, etc. Some work battling blackberries was accomplished also, as this site used to be a gigantic noxious thicket; which would grow back without consistent stewardship. Needless to say, we all enjoyed the cool river play after a hot afternoon's efforts. Lovely and very fun!